Which camp is best for me or for my child? Freestyle America camps are offered in 3 formats, each with their own purposes and training objectives. Tramp and Bag Jump programs in Campton, NH are designed to teach the essential skills and acrobatic fundamentals of freestyle and free skiing aerials. The Trampoline and Bag jump camps are designed for all ages 7-17. Please refer to individual camps for more information about age recommendations for each specific camp. These programs focus on acrobatic skill development in the tumbling and trampoline environment. Therefore, consider the Trampoline and Bag Jump camps the base line for learning freestyle aerials correctly. Athletes who engage a program of overall acrobatics, simply put, become better and safer freestyle and slopestyle aerialists. The second important part of the Freestyle America curriculum is air bag jumping at the Waterville Valley Academy Bag Jump Facility, where acrobatics move into the freestyle jumping coaching program. Athletes can differentiate the Tramp Camp experience from the Lake Placid Water Ramp Camps as follows: The Tramp and Bag Jump Camps are for “learning” ski acrobatics correctly. The Ramp camps are for “practicing” freestyle airs, in a more jump repetitive format. The Mountain Fare Inn campus provides superb accommodations, meals, and plenty of fun, friendship, and extra-curricular camp activities. Lake Placid Water Ramp programs offer abundant practice on airs that are targeted for use in winter competition. Ramp Camps serve athletes best who have learned base line aerial fundamentals, such as those taught at Trampoline and Bag Jump camp. The Water Ramp Camps in Lake Placid, NY occur at the Olympic Jumping Complex (OJC) is a facility designed for competitive freestyle aerialists and big air jumpers. Athletes can differentiate the Tramp Camp experience, one focusing on the “learning” phase of ski acrobatics, whereas the Lake Placid Water Ramp facility provides an outstanding jump “practice” experience. Again, to be clear, Trampoline and Bag Jump Camps are our best “acrobatic learning” experience, and Ramp camps are “jump practice, and aerial qualification” experiences. In Lake Placid, we enjoy a trampoline time period and a ramp time, both morning and afternoon. Trampoline sessions are warm ups for more intensive jumping sessions. Lake Placid jumpers are typically at the front or back flip level and up. They also appreciate the more refreshing experience of jumping into water in the summertime. The lodging at Ramp camp is in the resort town of Lake Placid. The town environment is one better suited for the teens. Sign-in and sign-outs are the policy, as is curfew, true at all camps. The Whistler Mogul & Freeskiing Camp is designed for competitive athletes, who need the benefits of on-snow training in between winter seasons, and who look to improve their technical skiing, aerial techniques, competitive mogul skiing, and slope style competition runs. This remarkable opportunity is designed for competitive freestyle and slope style skiers looking to work on their competitive skiing in moguls and slope style free skiing. Dedicated competitors consider summer snow training critical in order to elevate their skiing, sharpen technique, and practice on competition venues. The spectacular Momentum Park and FIS mogul course provide unparalleled training venues and snow conditions for our athletes and coaches. Technical skiing skills in both the mogul and slope style programs are an important focus in Whistler. On well-prepared jumps in moguls and in the park, along with snow-to-airbag training, and trampoline practice, athletes introduce new aerials into their skiing in preparation for winter competition. The ages for Whistler athletes start at from 9 and 10 for our day students, and 11-18 for our boarders. Our lodging and meals are “team style” in beautiful Lorimer Ridge Lodge. Ideally, an athlete starts with acrobatics early in their freestyle training career. That said, all formats have value to all levels of ability and ages. Therefore, all camps remain open to all ages and abilities. You may always call the Freestyle America Office (603) 726-8088 to discuss camps. Do all skill and experience levels of participant fit into all the camps? Yes, however, as stated above, younger and less acrobatically skilled athletes should consider the Tramp and Bag Jump camp as the best first step. That said, all Freestyle America programs will include a variety of ages and abilities, and the coaches and curriculum are ready to serve all. Skiing and acrobatics are individual sports activities. Our coaches will identify each athletes appropriate skill level and engage them accordingly at the ramps, on trampoline, on snow, or in all sports and conditioning environments to their individual skill level. Please note the suggested ages on all camp specific pages. The Trampoline and Bag Jump Camps occur in an age sequenced order. Youth Day Camp is for 7-9 year olds, Tramp and Bag Jump 1 is for 10-13, Tramp and Bag Camp 2 is for 13 and up. However, all of these camps have flexibility for ages. Ramp Camps have a minimum age of 12 years old to stay overnight. Day athletes can be as young as 10. Be advised that 10 and 11 year olds often have difficulty with the water landing. Please consult us before enrolling a 10 or 11 year old. Whistler typically has a robust group of 10 and 11 year olds, who attend as day students. Boarding athletes should be 12 years old, or consult us, as exceptions do occur. What supervision occurs at camp? Freestyle America has a reputation for being well organized and closely supervised. Nick and Susan Preston are program directors and lodging owners with 33 years of experience running camps. Nick directs the training activities, while Suzi manages the living environment for Trampoline Camp and Whistler. All camps number between a manageable 15 and 35 participants and include 6-8 staff. All athletes are housed among the coaching staff. All staff are “background checked”. A ratio of 1 coach per 5 athletes ensures attention to each camper, whether training, enjoying other sports games, social environments, or extra-curricular activities. Athletes have an age appropriate curfew. Trampoline and Bag Jump Camp occur on a 7-acre campus, with all but a few activities and evenings spent on campus. Lake Placid or Whistler athletes follow a sign out/in policy, when venturing into town. All camps begin with an orientation clearly defining our policies, rules, and behavioral expectations. First, sign your child up for your camp(s) of choice on the camps page of our website. If you are signing up multiple athletes you will need to register each athlete separately. After completing the checkout process, you will receive a confirmation email from Freestyle America with additional instructions to complete your registration. Payment can be completed using Paypal during the checkout process, or payment can be submitted by check by selecting the offline payment option and sending a check to the Freestyle America office. Please note: your child’s spot at camp cannot be held until payment is received. Your registration is NOT complete after submitting the online form! Your confirmation email will request additional documents required to finalize your registration. You will need to submit: the waivers relevant to your chosen camp, a copy of the front and back of your child’s medical insurance card, and additional travel documents (passport and travel itinerary) if you are attending Whistler. After submitting all of the required forms, you will receive a final email confirmation that will include a Welcome Letter for camp, including a camp schedule and packing list. What is US Skiing and Snowboarding, and when is membership required? The United States Ski and Snowboard Association is the governing body for the sport of Freestyle Skiing, Alpine Racing, Snowboarding, Cross-Country, Nordic Jumping and Disabled Skiing for Olympic, international and domestic competition. The US Skiing and Snowboarding sanction hundreds of snow sports competitions and hundreds ski clubs, across the country. These clubs are the foundation of winter training programs and ski academies across the country. 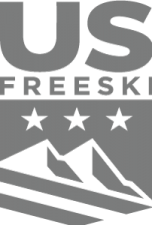 Freestyle America is a USSA member ski club. It is through this sanction that Freestyle America camps enjoy programs at the Blackcomb/Whistler ski area, and at the US Olympic Training Center and the Olympic Jumping Complex in Lake Placid. Although US Skiing membership is not a prerequisite to camp participation, we encourage all athletes to join USSA and participate in USSA Competition Programs. Can Snowboarders or other non-freestyle skiing athletes attend camp? Trampoline Camp is well suited to serve all young athletes interested in learning acrobatic skills, whether for sport or for fun. Trampoline Camp is open to all young athletes. Whistler/Blackcomb and the Ramp Camps in Lake Placid are freestyle ski sport specific. Each camp format (trampoline, water ramp, summer snow glacier training) has a specific ‘What to Bring List’ noted on the back of your confirmation letter. The ‘What to Bring List’ is also available on each relevant web page. For Ramp Camp equipment, bring 2 mouth guards, life-vest, wet suit, old skis, and your ski boots. We can provide ramp skis for a $10/day rental, if you have none of your own. Life vests and wet suits may be purchased at box store outlets for modest prices, or are best borrowed from a friend. We don’t have an inventory of either for campers to use. For Trampoline and Bag Jump Camp, skis, helmets, boots, and poles are required. Should an athletes lack skis or boots, we suggest renting locally at Ski Fanatics, phone: 603 726-2743. Skis are still optional for Youth Trampoline Day Camp. YTDC athletes will be focusing on trampoline acrobatic training with the option of using the on-site rail facility and will not be training at the Bag Jump Ramp. Smart phones at camp are limited to calls and a few other camp related purposes. All camps see to nurture friendships, and personal communication, and discourage distracting devices. ‘What-Not-to-Bring’ includes long boards, skate boards, motorized toys, unicycles, paint ball, water guns or any toys. Most are strictly forbidden at all our camp lodging environments. We do our best to meet our athletes’ requests. Please indicate on your enrollment form, if you have a roommate preference. Your requested roommate should do likewise. What day and time do I arrive and depart each camp? All arrival days and times for Trampoline and Ramp Camps are between 4 and 6 PM on the 1st date listed on our schedule. Some have mistakenly arrived on the day before. Departure for Trampoline Camps 1 and 2 are Saturday 12:00 noon for boarding camps. Youth day camp has a daily departure of 3:30, including on the last day. Departure for Ramp Camp is at 3 PM at the Ramp facility on the final camp date. Departure from Whistler, and air travel returning to the US, is the last date listed for camp, July 6, 2018. Arrival on the East Coast from Vancouver is typically late evening. Are day students invited as campers? Yes, local athletes may attend any camp as a day student. Plus, the locations for all our camps, including Whistler BC, the Adirondacks, NH’s Lakes Region, and the White Mountains, are well visited destinations for family vacations. How do I arrange travel for Whistler? For Whistler, it works best to coordinate travel arrivals and departures from Vancouver Airport at the same time, or on the same itinerary, as the camp group. Our transport to and from Whistler and Vancouver Airport is designed to accommodate everyone. If you are planning to join the camp itinerary from Logan in Boston, or joining us at our hub to Vancouver, you must coordinate through the camp’s travel service, Winter Park Travel 800 325-2748. Please contact us directly by email or telephone also. Remember: Passports are required! What is your Trampoline & Bag Jump Camp and Ramp Camp Cancellation Policy? For all camps, enrollments are welcome up until the first day of camp, if space is available. Cancellations PRIOR to 7 days before arrival will receive a refund less $100 handling fee. Cancellations WITHIN 7 days of arrival will not receive a refund. What is your Whistler Cancellation Policy? Until June 1st you can cancel less a $100 handling fee. After that all camp fees are non-refundable.